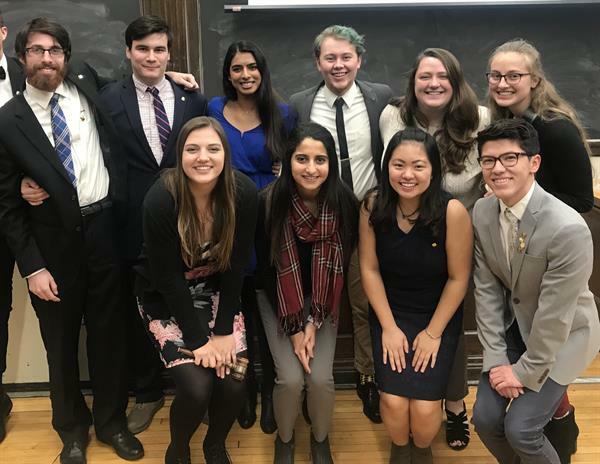 The Interfraternity Congress serves as the governing body for all fraternity chapters on Case Western Reserve University’s campus. Members of our board come from a diverse set of chapters present in our community. As a result of our varying backgrounds, together we provide a wide range of perspectives and ideas to help bring positive growth to our interfraternal community. Our mission is to enhance our community through collaboration of our fraternities’ different temperaments, talents, and convictions. We do this by furthering the four pillars of the Greek experience, which are Scholarship, Ritual, Leadership, and Citizenship. We each work to serve as leaders within our community and continually try to serve the community in any capacity it requires. As a board, we strive to build a fraternity community that realizes the ideal of a fraternal life - specifically through the strength of our individual chapters working together. Greek life is a unique experience that provides students with an array of opportunities to explore their interests and create social bonds of brotherhood that last much longer than collegiate years. The Interfraternal community at CWRU is open to any and all students who identify as male, and I wholeheartedly encourage you to meet any number of our campus chapters to join. With seventeen social chapters to choose from, any student has an opportunity to find their second home in the fraternity community - a sentiment the board, and I, can fully attest to.